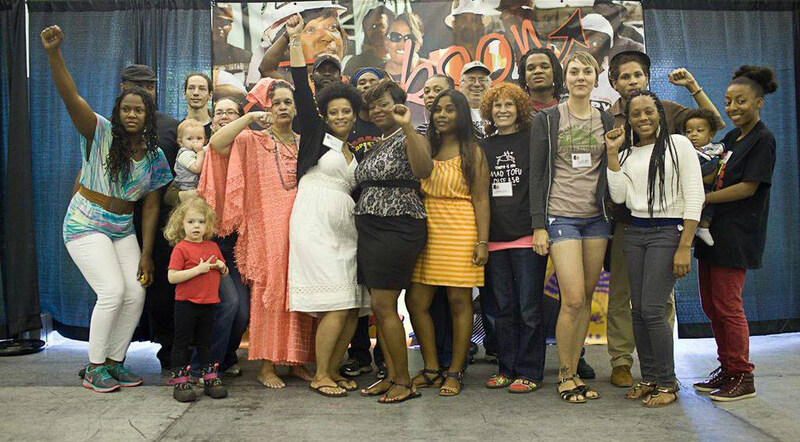 Still mourning Chokwe Lumumba, progressives gather to push his vision for worker-owned co-ops. The Jackson Rising: New Economies Conference, held on the campus of Jackson State University, went off without a hitch the first weekend in May. That, in itself, was testament to something new growing in the heart of the South. Conceived as part of Jackson Mayor Chokwe Lumumba’s plan to develop Mississippi’s crumbling capital from the bottom up, Jackson Rising ended up taking place just two months after Lumumba’s sudden death, less than two weeks after the election of a new mayor, and days after the key leadership of Lumumba’s administration—including many of the conference’s organizers—found themselves out of office and out of a job. Jackson is a pre–Civil War city whose city hall was built by slaves. With a population of 175,000, it is home to some of the poorest citizens in the nation and has a higher percentage of African-Americans (80 percent) than any other city except Detroit. Mayor Lumumba, a longtime activist, was elected in June 2013 on a pledge to reduce poverty and narrow the enduring wealth gap. One of the ways he intended to tackle inequality was through strict contracting and procurement rules. Jackson was, and still is, under a federal mandate to upgrade its crumbling sewer system. So, despite qualms, Lumumba supported a 1 percent sales tax hike to be spent specifically on infrastructure, which voters approved this past January. While in the past a vast majority of city contracts went to businesses owned and operated by nonresidents, Lumumba assured voters that the lion’s share would be spent locally. And where there weren’t enough locally owned businesses, his administration intended to cultivate new ones, in part by incubating worker-owned cooperatives. By pooling resources and spreading risk, worker-owned co-ops give low-income people a low-barrier way to start their own companies. But to grow to scale, co-ops need reliable financing and, ideally, ”anchor” clients. With an estimated $1 billion to be spent on repair in the coming decades, Lumumba and his team were exploring the possibility of seeding local co-ops with municipal contracts. “We thought we would have more time, but we’re moving ahead the vision,” said Kali Akuno, Lumumba’s right-hand man on Jackson Rising. There’s a long history in the South of a very pragmatic approach to co-ops. “Name any famous African-American leader—Ella Baker, [W.E.B.] Du Bois, Marcus Garvey, A. Philip Randolph—they were all proponents of co-ops,” said Jessica Gordon Nembhard, author of Collective Courage: A History of African American Cooperative Economic Thought and Practice. They had good reason. In the civil rights years, blacks who registered to vote tended to lose their jobs, and sharecroppers who housed activists faced eviction. When the legendary Highlander Folk School started in Tennessee in 1932, it trained successive generations of movement leaders (including Rosa Parks and Fannie Lou Hamer) in supporting poor workers to form unions as well as poor farmers to form co-ops. They were two parallel responses to the same grim set of conditions. Yet “sometime after civil rights, the economic piece dropped out,” said Elandria Williams, of what is now the Highlander Research and Education Center, which endorsed the conference. The hyper-concentration of capital in twenty-first-century America has sparked a surge of enthusiasm about co-operative economics. Like Williams, many came to Jackson on a mission to reconnect co-ops to politics. “Especially in Mississippi, we spend a lot of time speaking truth to power. Now is the time for us to speak truth to ourselves and build some power to determine our future,” said Ed Whitfield of the Fund for Democratic Communities, a conference sponsor. As a jump-starter for local co-ops, Jackson Rising may have fallen short. Although the turnout topped 500, according to organizers, the $25 registration fee probably discouraged local participation. Outsiders outnumbered locals. But those who did attend included veterans from Highlander, the Southern Grassroots Economies Project and the US Social Forum.